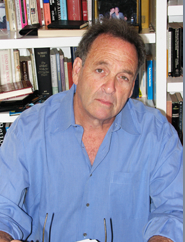 John Nathan specializes in twentieth century Japanese literature, comparative studies in the novel, Japan, Europe, and America, Japanese cinema, and the theory and practice of translation. His published works include a critical biography of novelist Yukio Mishima, a study of personal relationships in the Sony Corporation, a study of the changing social landscape in postwar Japan, and a memoir. He is also an Emmy award-winning documentary film maker. His translations of Kenzaburo Oe are widely credited with having helped Oe win the Nobel Prize. Before coming to UCSB, he was professor of Japanese literature at Princeton University. He has been a Junior Fellow in the Harvard Society of Fellows, and a Guggenheim Fellow. Sony: The Private Life. New York: Houghton Mifflin Company, 1999. Mishima, A Biography. Little, Brown, 1974. Oe, Kenzaburo, Rouse Up O Young Men of the New Age! Translated, and with an afterword, by John Nathan. New York: Grove Press, 2002. The Sailor Who Fell From Grace with the Sea, by Yukio Mishima, Alfred Knopf. New York, 1965. A Personal Matter, by Kenzaburo Oe, by Grove Press. New York, 1967. Teach Us To Outgrow Our Madness, by Kenzaburo Oe; trans., with an introduction, by John Nathan, by Grove Press. New York, 1977. The Japanese, A Film Trilogy: Full Moon Lunch, The Blind Swordsman, Farm Song, 1979. The Colonel Goes to Japan (Documentary), 1982, Emmy Award. “Kenzaburo Oe: Mapping the Land of Dreams.” Japan Quarterly 42(1), January-March, 1995. Words, Ideas, and Ambiguities: Four Perspectives on Translating from the Japanese. Howard Hibbett, Edwin McClellan, John Nathan and Edward Seidensticker. Chicago, Ill.: Imprint Publications, 2000. “Tokyo Story: A Profile of Shintaro Ishihara.” The New Yorker, April 9, 2001.